Over the past few years, some of the world’s largest automakers have started betting on the full-size luxury SUV as the next big segment. Bentley has begun testing its Bentayga on public roads, and Rolls-Royce’s response, the Cullinan, is being put through its paces hidden under a modified Phantom body. While the Brits are out making a scene, Lamborghini has just okayed the Urus for production, and Jeep is set to unveil its 2018 Grand Wagoneer to dealers this fall. Mercedes-Benz has hinted at a new Maybach model to enter the fray, and Audi, BMW and Range Rover have all expressed interest in moving their SUVs even further upmarket. Like the full-size luxury sedan segment, demand for these off-roadable luxo-barges is especially strong in the Chinese and Middle Eastern markets, and the traditional luxury automakers are eager to capitalize on it. But Hyundai appears that it wants in too, and a full-size luxury offering by the Korean automakers could shore up some recent sales losses in the U.S., and finally prove that it’s good at everything it does. In 2008, Hyundai defied critics by launching the Genesis, a full-size premium luxury sedan that offered features similar to the Mercedes-Benz S-Class and Lexus LS 460 for thousands less. 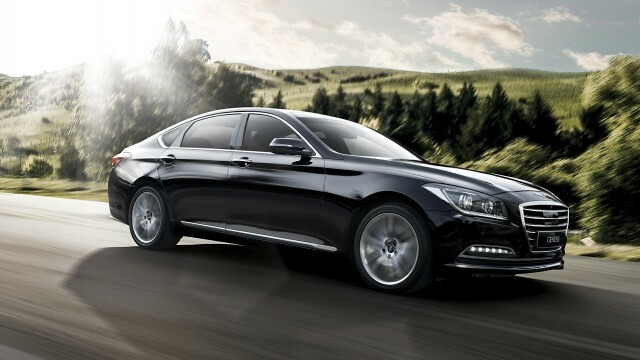 Despite strong skepticism, Hyundai’s big gambit appears to have paid off. Even while Hyundai’s sales have slipped 10% within the past year, Genesis sales are up by 30%, with American buyers taking home nearly 15,000 cars between January and May. Speaking with Reuters, unnamed sources inside Hyundai say that the company is now ready to turn its focus to the full-size SUV market, and is considering a Genesis-based luxury model that would undercut its competitors by thousands and offer features that punch well above its weight. Despite not being exactly known for its SUV range, Hyundai has taken some big steps recently to raise its profile. After successfully showing its Santa Cruz pickup at this year’s auto show circuit, it looks more and more likely that the popular concept will see production. And while its last full-size offering, the Veracruz, was phased out in 2013, the company’s SUV lineup is enjoying a moment in the global spotlight, as a new Popemobile based on a Hyundai Santa Fe made its debut earlier this month. Luxury model or not, Hyundai could benefit from a stronger SUV lineup in the U.S., especially if it wants to regain some of its shrinking market share. 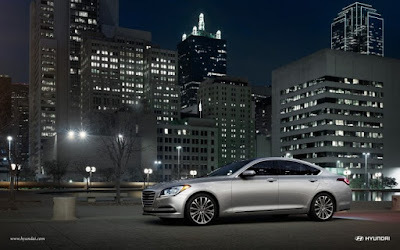 While a Genesis-based SUV is by no means an essential for the company, the Genesis sedan has proven that there are enough people out there who want high-end luxury and don’t care about the badge on the grille. With high-end SUVs poised to become the next “it car” in the next few years, it might not be a bad idea for Hyundai to get in on the ground floor.